In the following interview, Rune Bjelland shares with us his insight on Einherjer, his perspective on the death/black metal scene, his views on religion, and his outlook on life in general. First, let's begin by asking you about Einherjer's creation. Could you explain its history? Well, Einherjer was founded in late summer of 1993 by Gerard Storesund, Frode Glesnes, and me (Rune Bjelland), in fact it was on a Saturday night at a party at Ivar Bjornson of Enslaved's place. 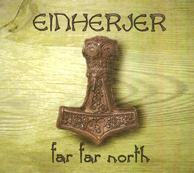 Einherjer seems to carry many Norse themes and a unique sound. What has been the band's major influences, lyrically and musically? 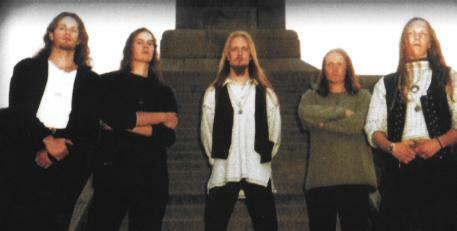 Lyrically, I've been influenced by old Norse mythology, musical influences are mainly bands like Manowar and Skyclad. I, myself, who use Black Metal vocals are somewhat influenced by Atilla of Mayhem, but of course I try hard to make my own style. What inspires you in life? Well, I'm an active role player, and also practice boxing (great sport). And of course, I spend some time with my friends, you might say I find these moments inspiring in my life. What does the name Einherjer mean? Why was this chosen as the name of the band? An einherjer is a Viking who has gotten himself killed at the battle fields, after this, he is brought up to Valhalla by the Valkyrians for the purpose of fighting in the army of Tyr, when the age Ragnarok emerges. So what's the music scene like there? There seem to be a lot of new bands lately, are there any young bands you feel like mentioning that you like? Hmm, I must say that I do not keep myself very updated within the Black Metal scene any longer, so I can't really come up with any new bands that have impressed me lately, but I'm sure there are many great new coming bands that I haven't heard of yet. The music scene where I live contains two metal bands which I know of, and that is Enslaved and us. Do any of the band members practice any sort of religion? Are your lyrics a reflection of your beliefs of the Norse deities or do they just portray an interest in the subject? Well, to begin with myself, I must say that I am very interested in the occult. I do have certain beliefs, I can say that I find reincarnation very interesting indeed. The other members of the band are atheists. Explain your thoughts on Christianity. What would you account for its success in almost completely wiping out the religions of old? It pisses me off. The Christians have extremely destroyed much of archeological interest, like for example, they destroyed much of the Egyptian society and their old religions. They also almost made total success in destroying our beloved northern mythology. This is only a few examples, but if you look at it, Christianity has almost always destroyed all of the civilizations it has been in touch with. Have you yourself ever actually read the Bible? Any comments about it? Yes, I have read it. It contains some entertaining tales. What about Satanism? So much of the "Satanic" messages and imagery of certain music today seem based upon ignorance. These people must look to Christianity and know it to be wrong in some sense. In their rebellion from this religious norm, they seek its most apparent enemy--Satan, under whatever name or form. So many seem to see this as the only alternative to Christianity. They don't seem to understand that Satanism in itself is much a Christian creation, as they, the Christians, labeled any other god or goddess evil and wrong, just as their "holy" book dictated to them. What are your thoughts on this? Well, I agree with you. But you'll have to remember that real Satanists do not rebel against the religion itself, they fight on Satan's side in his war against God. I do, however, guess that many of the people who play Black Metal and claim to be Satanists are merely kids who are not realizing what a Satan worshiper really is. What message do you hope to relay to your listeners? I hope to give our listeners a better knowledge of our ancestors and their beliefs. 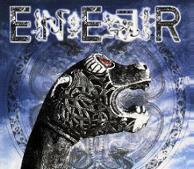 If you had to sum up Einherjer in words, how would you describe it to someone who had never heard it? Music in the veins of heavy metal spiced with some influences of the Black Metal style (considering the vocals). Have your record sales been up to your expectations so far? It sells pretty well, the first four thousand examples were sold out in one week. Now days, I guess, it has come up to about 6,500-7,000 sold examples. I can live with that, but I do, of course, hope that people will continue to buy it. Explain your future plans for Einherjer. Are you already working on a new release? We are currently working on new material for our next CD, yes. Our future plan is to reach as many people with our music as possible. In such an underground atmosphere, where Death/Black Metal is, do you see these styles of music surviving? Actually, no. I think the strongest of the bands will survive. (Hopefully we will be one of them.) You know, bands like Emperor, Enslaved, and Immortal. There is one thing I have to say, almost all of the new bands I hear are doing nothing new. They sound exactly like the Black Metal bands I first got to know of in 1991-92. This is the main reason I do not think the scene will survive, because in the end, people will grow tired of the fact that nothing new is brought into the scene. It is only the same things being done over and over again, I, myself, are one of those who grow tired of this. There are so many negative attitudes about the world in general circulating in today's age...most people see no hope for the future of our world. What are your personal views? Do you see any hope? Well, I can't say for sure really. Only time will show, but there is always a hope that some of the great "leaders" will start up the engine over his shoulders and realize that starting a nuclear war probably would not be the best idea presented in the history of man. However, if you were thinking more of the growing pollution and the over-population, I can only say that I don't know. Explain to me your thoughts on The Fimbul Winter and Ragnarok. You speak of these things a bit in your lyrics; do you foresee them happening in our lifetimes? Actually, no, I don't. For me, the Fimbul Winter and Ragnarok are mere fiction. There is definitely a sort of cultural awakening among many Black/Death Metal bands of today. People are beginning to open their eyes to the truth of the past and seeing the ancient light some have tried to hide their eyes from. Why do you suppose so many Black/Death Metal bands are so attracted to the concepts and beliefs of the past? Not easy to say, really. It might be the fact that many of the elder gods often represent the strength in man, it also wanted the people to practice sorcery and magic rites. I guess that people find these things interesting. (I do. I love to read old spell books and books speaking of old religions.) As you probably know, Christians only see the vigor and strength in God, not in man, and they absolutely forbid the art of magic. Where can an interested reader obtain your releases from? Their local record shop should be able to get it for them. At last, we thank you for your time and thoughts. Any closing comments? Yes, thanks for a splendid interview. And to those who read this� Buy our music!